Hardware support workers in several EU countries could be facing job cuts as Oracle relocates operations to Romania. 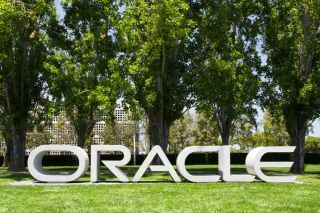 Oracle is reportedly planning major job cuts across Europe as it readies for a company-wide reorganisation. According to The Register's, Oracle is looking to shift its hardware support division into Romania. Confirmed by 'multiple insiders' the report states the process has already begun, although the deadline for migration differs from country to country. There seems to be a total of 424 Oracle employees in Europe that work on hardware support. With 137 already in Romania, that leaves us with 287 people outside the country that might lose their jobs. The majority (77) are based in Germany, with Spain (67), France (55), the UK (53), also affected, with the rest scattered across the continent. Germany's hardware support team will shutter by May 2018, although it might happen as soon as February. Spain will follow, with Italy and France closing shops by the end of the year. The UK's hardware support branch will probably have a longer life span, and will most likely be the last team to shut down. "The concern is losing this institutional and cultural ‘memory', particularly for more specialist teams,“ said Dale Vile, analyst at Freeform Dynamics. “This can make the difference between an efficient peer-to-peer support experience for the customer, and script-driven hell, no matter how well-trained the outsourced resources happen to be." Sales people in the hardware division, and workers from the SPARC and Solaris OS teams have already been fired. Oracle hasn’t commented yet.